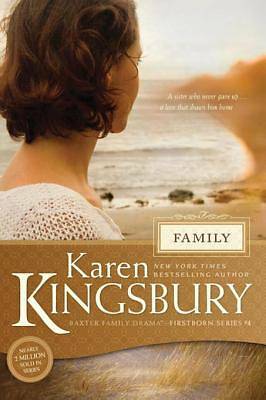 A fresh, new look for the bestselling Firstborn series--the second installment in the continuing Baxter Family Drama from America's number one inspirational novelist, Karen Kingsbury. Revisit the Baxter family in all their life-changing events, or share the series with someone who hasn't discovered it yet. In the wake of finding his firstborn son, John Baxter looks for a way to tell his other children the truth about a secret he's kept from them all their lives. At the same time, a sensational Hollywood trial brings Dayne Matthews and Katy Hart together again, this time in a very public way. Just when it seems they have a chance at love, doubts and presumed scandals place them farther apart than ever. In the midst of this crisis, one truth is clear for all of them--never in their lives has family been more important.